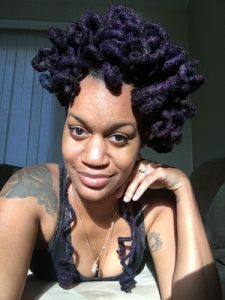 Are you looking for a way to create big curls with your locs? If so, I have the perfect solution for you— Lacer Curlers! 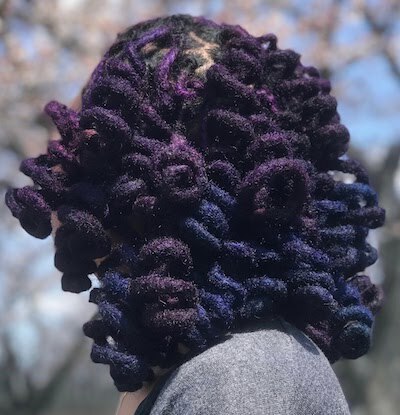 A Lacers Set will give you big curls with your locs that are full of volume, body and movement! But you don’t have to believe me, check out this video, “Loose Curls with Lacer Curlers“! 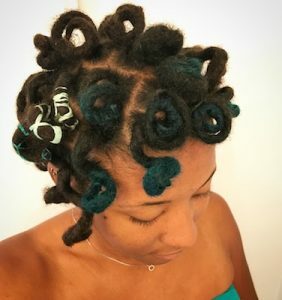 Creating curls with your locs that have a lot of body and bounce is really easy when the Lacer Curlers are used! You can achieve the big curls with short to long length locs! 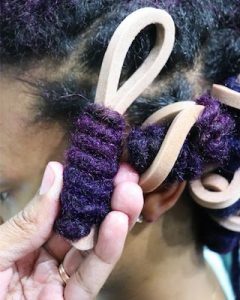 You can even use the Lacer Curlers to create big curls with locs that are thick or small in size. 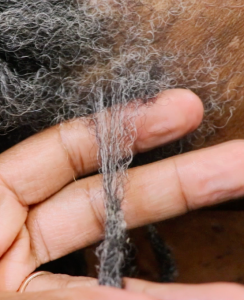 The difference between the two thickness is that for smaller sizes locs multiple locs can be used on one Lacer, whereas when curling thick locs typically 1-2 locs per Lacer is the maximum. 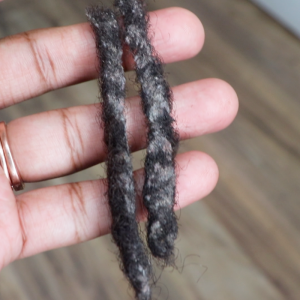 The most important thing to remember when creating big curls with your locs is that you roll your hair on the Lacers while wet and then sit under the dryer for at least 45 minutes to an hour to dry your hair. You cannot air dry and expect to have voluminous curls that last. Typically, because my locs are thick, after I set my hair on Lacer Curlers and sit under the dryer for 60-90 minutes I’ll also sleep in the Lacers. Thankfully, they’re soft enough that it’s not uncomfortable and I have an enormously large satin bonnet that can cover my hair in the Lacers. The Lacer Curlers are a professional styling tool created by MIZANI. You can only acquire the Lacer Curlers from a licensed Cosmetologist that carries MIZANI products or select online stores. The Lacer Curlers come with 24 Lacers in a package and generally 1 pack is enough for about 120 or less small locs/45 or less thick locs. 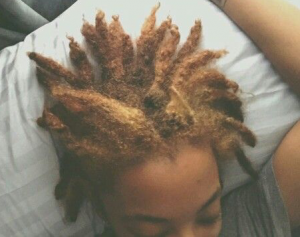 I currently use Soft Spikes to curl my locs. Looking for something different. Love the idea of these Lacers! I haven’t curled my locs yet. I thought because they were still fairly short it wouldn’t look as good. So excited to give these a try. Very informative as usual!